Created specifically to reduce damage to your pots and pans, these Non Stick Pan Cleaners are ideal for any washing set-up. A great addition for busy catering environments and kitchens, each cleaner has a ergonimic hand grip design with a scouring surface that effectively removes burns and stains from non-stick pans. Gentle enough not to remove the non-stick surface from the base, they are ideal for a host of delicate surfaces and fit easily into your existing routine. Provided in a multipack of 5, each of these pan cleaners can be stored away until required while working hard alongside your chosen soap. 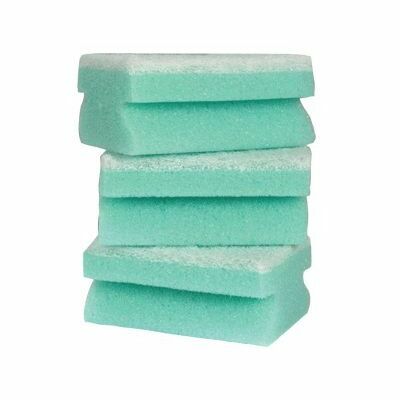 Alongside these cleaners, we stock Hand Grip Sponge Scourers x 5, Soap Filled Scourer Pads and the Suma Combi Dishwasher Liquid - all at economic prices and pack sizes suitable for commercial use.